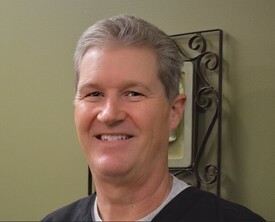 Dr. Klenk has been practicing dentistry in Fayette County since 1986. He is a graduate of WV Wesleyan College, WVU School of Dentistry and The Ohio State University School of Dentistry General Practice Residency program. Dr. Klenk originally established offices in Mt. Hope and Ansted. In 2005, these two office sites were combined into the current Hico location. This facility, a cedar and stone structure blending into the landscape of northern Fayette County, is equipped for state of the art dentistry delivered in a comfortable and beautiful environment. Dr. Klenk has been a caring and active member of many Fayette County organizations. He is a member and past president of the Ansted Lion's Club. He serves as a board member of the New Haven Foundation. He has been a soccer and basketball coach for the youth in the area. In 2015 he participated in United Way of Southern West Virginia "Dancing With the Stars" and raised close to $25,000 for the organization. In his professional life, he has served as president of the New River Dental Society and represented the dentists of that group as a member of the Executive Board of the WV Dental Association. He has accumulated numerous hours of professional continuing education and serves as a Field Faculty member of the WVU School of Dentistry through the Rural Health Education Partnership where senior dental students rotate thru our office. He has made three trips to Guatemala serving the dental needs of the impoverished through dental mission work. Dr. Klenk and his wife Michelle, a native of Summersville, have been married for 28 years and have two beautiful daughters, Rebecca of Nashville, TN and Sarah of Morgantown, WV. The family attends SS Peter & Paul Catholic Church where he serves as a lector and a member of the parish finance committee. Dr. Klenk's hobbies include cycling. He enjoys the many mountain biking trails available in the New River Gorge region as well as the country roads throughout the region. Dr. Lockhart is a 2008 graduate of the WVU School of Dentistry and brings a great deal of talent and interests to the practice. 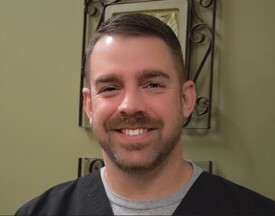 He has practiced with Dr. Klenk in Hico since his graduation in 2008. Dr. Lockhart is a native of Beckley and a graduate of Woodrow Wilson High School. Dr. Lockhart attended Marshall University, earning a degree in Biology in 2001. He continued his study of Biology as a graduate student, participating in several research projects focusing on amphibians and reptiles in West Virginia. He also taught laboratory courses in Biology and assisted in courses in ornithology (birds) and herpetology (amphibians and reptiles). Before attending WVU School of Dentistry, Dr. Lockhart spent a summer working in Yellowstone National Park doing field research in the Yellowstone backcountry. Dr. Lockhart has served as president and vice-president of the New River Dental Society. Dr. Lockhart also serves as Field Faculty member of the WVU School of Dentistry through the Rural Health Education Partnership. Dr. Lockhart and his wife Sarah, also of Beckley, have been married for 14 years and reside in Fayetteville with their two young children, Lillian and Samuel Lockhart. Dr. Lockhart enjoys spending time with his children, woodworking, and traveling backroads and mountainsides in his Jeep Wrangler. Dr. Lockhart has attended three Jeep Jamborees in recent years.